Response to the 2005 Edge Question, "What Do You Believe Is True Even Though You Cannot Prove It? "The Father of Long Tails", a 2008 interview conducted in Paris by the Swiss art curator andEdge collaborator Hans Ulrich Obrist, currently the Curator of the Serpentine Gallery in London. Response to the Edge-Serpentine Gallery collaboration "Formulae For The 21St Century: What Is Your Formula? Your Equation? Your Algorithm?" 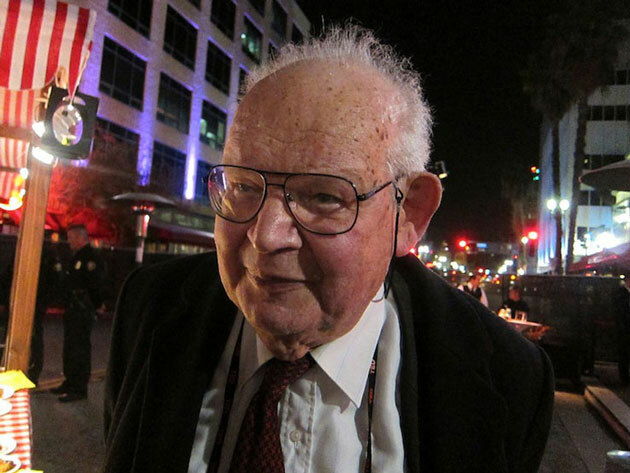 BENOIT MANDELBROT, who died on October 14th, was Sterling Professor of Mathematical Sciences at Yale University and IBM Fellow Emeritus (Physics) at the IBM T.J. Watson Research Center. His books include The Fractal Geometry of Nature; Fractals and Scaling in Finance; and (with Richard L. Hudson) The (mis)Behavior of Markets. A recent, important turn in my life occurred when I realized that something that I have long been stating in footnotes should be put on the marquee. I have engaged myself, without realizing it, in undertaking a theory of roughness. Think of color, pitch, loudness, heaviness, and hotness. Each is the topic of a branch of physics. Chemistry is filled with acids, sugars, and alcohols — all are concepts derived from sensory perceptions. Roughness is just as important as all those other raw sensations, but was not studied for its own sake. 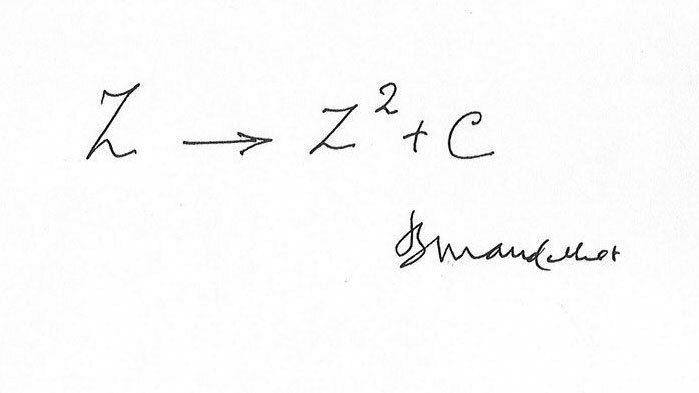 During the 1980s Benoit Mandelbrot accepted my invitation to give a talk before The Reality Club. The evening was the toughest ticket in the 10-year history of live Reality Club events during that decade: it seemed like every artist in New York had heard about it and wanted to attend. It was an exciting, magical evening. I've stayed in touch with Mandelbrot and shared an occasional meal with him every few years, always interested in what he has to say. Recently, we got together prior to his 80th birthday. Mandelbrot is best known as the founder of fractal geometry which impacts mathematics, diverse sciences, and arts, and is best appreciated as being the first broad attempt to investigate quantitatively the ubiquitous notion of roughness. And he continues to push the envelope with his theory of roughness. "There is a joke that your hammer will always find nails to hit," he says. "I find that perfectly acceptable. The hammer I crafted is the first effective tool for all kinds of roughness and nobody will deny that there is at least some roughness everywhere." "My book, The Fractal Geometry of Nature," he says, reproduced Hokusai's print of the Great Wave, the famous picture with Mt. Fuji in the background, and also mentioned other unrecognized examples of fractality in art and engineering. Initially, I viewed them as amusing but not essential. But I soon changed my mind. "Innumerable readers made me aware of something strange. They made me look around and recognize fractals in the works of artists since time immemorial. I now collect such works. An extraordinary amount of arrogance is present in any claim of having been the first in "inventing" something. It's an arrogance that some enjoy, and others do not. Now I reach beyond arrogance when I proclaim that fractals had been pictured forever but their true role had remained unrecognized and waited for me to be uncovered."?? There is a saying that every nice piece of work needs the right person in the right place at the right time. For much of my life, however, there was no place where the things I wanted to investigate were of interest to anyone. So I spent much of my life as an outsider, moving from field to field, and back again, according to circumstances. Now that I near 80, write my memoirs, and look back, I realize with wistful pleasure that on many occasions I was 10, 20, 40, even 50 years "ahead of my time." Until a few years ago, the topics in my Ph.D. were unfashionable but they are very popular today. My ambition was not to create a new field, but I would have welcomed a permanent group of people having interests close to mine and therefore breaking the disastrous tendency towards increasingly well-defined fields. Unfortunately, I failed on this essential point, very badly. Order doesn't come by itself. In my youth I was a student at Caltech while molecular biology was being created by Max Delbrück, so I saw what it means to create a new field. But my work did not give rise to anything like that. One reason is my personality — I don't seek power and do not run around. A second is circumstances — I was in an industrial laboratory because academia found me unsuitable. Besides, creating close organized links between activities which otherwise are very separate might have been beyond any single person's ability. That issue is important to me now, in terms of legacy. Let me elaborate. When I turned seventy, a former postdoc organized a festive meeting in Curaçao. It was superb because of the participation of mathematician friends, physicist friends, engineering friends, economist friends and many others. Geographically, Curaçao is out of the way, hence not everybody could make it, but every field was represented. Several such meetings had been organized since 1982. However, my enjoyment of Curaçao was affected by a very strong feeling that this was going to be the last such common meeting. My efforts over the years had been successful to the extent, to take an example, that fractals made many mathematicians learn a lot about physics, biology, and economics. Unfortunately, most were beginning to feel they had learned enough to last for the rest of their lives. They remained mathematicians, had been changed by considering the new problems I raised, but largely went their own way. Today, various activities united at Curaçao are again quite separate. Notable exceptions persist, to which I shall return in a moment. However, as I was nearing eighty, a Curaçao-like meeting was not considered at all. Instead, the event is being celebrated by more than half a dozen specialized meetings in diverse locations. The most novel and most encouraging one will be limited to very practical applications of fractals, to issues concerning plastics, concrete, the internet, and the like. To return to and explain how fractals have influenced pure mathematics, let me say that I am about to spend several weeks at the Mittag-Leffler Instituteat the Swedish Academy of Sciences. Only 25 years ago, I had no reason to set foot there, except to visit the spectacular library. But, as it turned out, my work has inspired three apparently distinct programs at this Institute. The first was held in the 1980s when the Mandelbrot Set was a topic of a whole year of discussion. It may not be widely appreciated that the discovery of that set had consisted in empowering the eye again, in inspecting pictures beyond counting and on their basis stating a number of observations and conjectures to which I drew the mathematicians' attention. One of my conjectures was solved in six months, a second in five years, a third in ten. 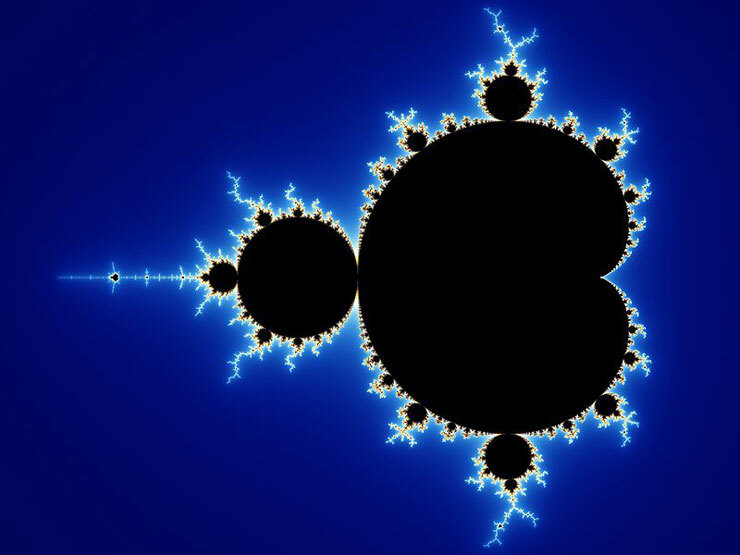 But the basic conjecture, despite heroic efforts rewarded by two Fields Medals, remains a conjecture, now called MLC: the Mandelbrot Set is locally connected. The notion that these conjectures might have been reached by pure thought — with no picture — is simply inconceivable. The next Mittag-Leffler year I inspired came six years ago and focused on my "4/3" conjecture about Brownian motion. Its discovery is characteristic of my research style and my legacy, hence deserves to be retold. Scientists have known Brownian motion for centuries, and the mathematical model provided by Norbert Wiener is a marvelous pillar at the very center of probability theory. Early on, scientists had made pictures both of Brownian motion in nature and of Wiener's model. But this area developed like many others in mathematics and lost all contact with the real world. My attitude has been totally different. I always saw a close kinship between the needs of "pure" mathematics and a certain hero of Greek mythology, Antaeus. The son of Earth, he had to touch the ground every so often in order to reestablish contact with his Mother; otherwise his strength waned. To strangle him, Hercules simply held him off the ground. Back to mathematics. Separation from any down-to-earth input could safely be complete for long periods — but not forever. In particular, the mathematical study of Brownian motion deserved a fresh contact with reality. Seeking such a contact, I had my programmer draw a very big sample motion and proceeded to play with it. I was not trying to implement any preconceived idea, simply actively "fishing" for new things. For a long time, nothing new came up. Then I conceived an idea that was less scientific than esthetic. I became bothered by the fact that, when a Brownian motion has been drawn from time 0 to time 1, its two end portions and its middle portion follow different rules. That is, the whole is not homogeneous, exhibits a certain lack of inner symmetry, a deficit of beauty. This triggered the philosophical prejudice that when you seek some unspecified and hidden property, you don't want extraneous complexity to interfere. In order to achieve homogeneity, I decided to make the motion end where it had started. The resulting motion biting its own tail created a distinctive new shape I call Brownian cluster. Next the same purely aesthetic consideration led to further processing. The continuing wish to eliminate extraneous complexity made me combine all the points that cannot be reached from infinity without crossing the Brownian cluster. Painting them in black sufficed, once again, to create something quite new, resembling an island. Instantly, it became apparent that its boundary deserved to be investigated. Just as instantly, my long previous experience with the coastlines of actual islands on Earth came handy and made me suspect that the boundary of Brownian motion has a fractal dimension equal to 4/3. The fractal dimension is a concept that used to belong to well-hidden mathematical esoteric. But in the previous decades I had tamed it into becoming an intrinsic qualitative measure of roughness. Empirical measurement yielded 1.3336 and on this basis, my 1982 book, The Fractal Geometry of Nature, conjectured that the value of 4/3 is exact. Mathematician friends chided me: had I told them before publishing, they could have quickly provided a fully rigorous proof of my conjecture. They were wildly overoptimistic, and a proof turned out to be extraordinarily elusive. A colleague provided a numerical approximation that fitted 4/3 to about 15 decimal places, but an actual proof took 18 years and the joining of contributions of three very different scientists. It was an enormous sensation in the year 2000. Not only the difficult proof created its own very active sub field of mathematics, but it affected other, far removed, sub fields by automatically settling many seemingly unrelated conjectures. An article in Science magazine reported to my great delight a comment made at a major presentation of the results, that this was the most exciting thing in probability theory in 20 years. Amazing things started happening and the Mittag-Leffler Institute organized a full year to discuss what to do next. Today, after the fact, the boundary of Brownian motion might be billed as a "natural" concept. But yesterday this concept had not occurred to anyone. And even if it had been reached by pure thought, how could anyone have proceeded to the dimension 4/3? To bring this topic to life it was necessary for the Antaeus of Mathematics to be compelled to touch his Mother Earth, if only for one fleeting moment. Within the mathematical community, the MLC and 4/3 conjectures had a profound effect — witnessed recently when the French research council, CNRS, expressed itself as follows. "Mathematics operates in two complementary ways. In the 'visual' one the meaning of a theorem is perceived instantly on a geometric figure. The 'written' one leans on language, on algebra; it operates in time. Hermann Well wrote that 'the angel of geometry and the devil of algebra share the stage, illustrating the difficulties of both.'" I, who took leave from French mathematics at age 20 because of its rage against images, could not have described it better. Great to be alive when these words come from that pen. But don't forget that, in the generations between Hermann Well (1885-1955) and today — the generations of my middle years — the mood had been totally different. Back to cluster dimension. At IBM, where I was working at the time, my friends went on from the Brownian to other clusters. They began with the critical percolation cluster, which is a famous mathematical structure of great interest in statistical physics. For it, an intrinsic complication is that the boundary can be defined in two distinct ways, yielding 4/3, again, and 7/4. Both values were first obtained numerically but by now have been proven theoretically, not by isolated arguments serving no other purpose, but in a way that has been found very useful elsewhere. As this has continued, an enormous range of geometric shapes, so far discussed physically but not rigorously, became attractive in pure mathematics, and the proofs were found to be very difficult and very interesting. The third meeting that my work inspired at the Mittag-Leffler Institute of the Swedish Academy, will take place this year. Its primarily concern will be a topic I have already mentioned, the mathematics of the Internet. This may or may not have happened to you, but some non-negligible proportion of e/mail gets lost. Multiple identical messages are a pest, but the sender is actually playing it safe for the good reason that in engineering everything is finite. There is a very complicated way in which messages get together, separate, and are sorted. Although computer memory is no longer expensive, there's always a finite size buffer somewhere. When a big piece of news arrives, everybody sends a message to everybody else, and the buffer fills. If so, what happens to the messages? They're gone, just flow into the river. At first the experts thought they could use an old theory that had been developed in the 1920s for telephone networks. But as the Internet expanded, it was found that this model won't work. Next they tried one of my inventions from the mid-1960s, and it wouldn't work either. Then they tried multi fractals, a mathematical construction that I had introduced in the late 1960s and into the 1970s. Multi fractals are the sort of concept that might have been originated by mathematicians for the pleasure of doing mathematics, but in fact it originated in my study of turbulence and I immediately extended it to finance. To test new internet equipment one examines its performance under multi fractal variability. This is even a fairly big business, from what I understand. A recent, important turn in my life occurred when I realized that something that I have long been stating in footnotes should be put on the marquee. I have engaged myself, without realizing it, in undertaking a theory of roughness. Think of color, pitch, heaviness, and hotness. Each is the topic of a branch of physics. Chemistry is filled with acids, sugars, and alcohols; all are concepts derived from sensory perceptions. Roughness is just as important as all those other raw sensations, but was not studied for its own sake. In 1982 a metallurgist approached me, with the impression that fractal dimension might provide at long last a measure of the roughness of such things as fractures in metals. Experiments confirmed this hunch, and we wrote a paper for Nature in 1984. It brought a big following and actually created a field concerned with the measurement of roughness. Recently, I have moved the contents of that paper to page 1 of every description of my life's work. Those descriptions have repeatedly changed, because I was not particularly precocious, but I'm particularly long-lived and continue to evolve even today. Above a multitude of specialized considerations, I see the bulk of my work as having been directed towards a single overarching goal: to develop a rigorous analysis for roughness. At long last, this theme has given powerful cohesion to my life. Earlier on, since my Ph.D. thesis in 1952, the cohesion had been far more flimsy. It had been based on scaling, that is, on the central role taken by so-called power-law relations. For better or worse, none of my acquaintances has or had a similar story to tell. Everybody I have known has been constantly conscious of working in a pre-existing field or in one being consciously established. As a notable example, Max Delbrück was first a physicist, and then became the founder of molecular biology, a field he always understood as extending the field of biology. To the contrary, my fate has been that what I undertook was fully understood only after the fact, very late in my life. The standard example is the cauliflower. One glance shows that it's made of florets. A single floret, examined after you cut everything else, looks like a small cauliflower. If you strip that floret of everything except one "floret of a floret" — very soon you must take out your magnifying glass — it's again a cauliflower. A cauliflower shows how an object can be made of many parts, each of which is like a whole, but smaller. Many plants are like that. A cloud is made of billows upon billows upon billows that look like clouds. As you come closer to a cloud you don't get something smooth but irregularities at a smaller scale. Before my work, those shapes had no use, hence no word was needed to denote them. My work created such a need and I coined "fractals." I had studied Latin as a youngster, and was trying to convey the idea of a broken stone, something irregular and fragmented. Latin is a very concrete language, and my son's Latin dictionary confirmed that a stone that was hit and made irregular and broken up, is described in Latin by the adjective "fractus." This adjective made me coin the word fractal, which now is in every dictionary and encyclopedia. It denotes shapes that are the same from close and far away. To give an example, let me return to the stock market and the weather. It's almost trite to compare them and speak of storms and hurricanes on Wall Street. For a while the market is almost flat, and almost nothing happens. But every so often it hits a little storm, or a hurricane. These are words which practical people use very freely but one may have viewed them as idle metaphors. It turns out, however, that the techniques I developed for studying turbulence — like weather — also apply to the stock market. Qualitative properties like the overall behavior of prices, and many quantitative properties as well, can be obtained by using fractals or multi fractals at an extraordinarily small cost in assumptions. This does not mean that the weather and the financial markets have identical causes — absolutely not. When the weather changes and hurricanes hit, nobody believes that the laws of physics have changed. Similarly, I don't believe that when the stock market goes into terrible gyrations its rules have changed. It's the same stock market with the same mechanisms and the same people. A good side effect of the idea of roughness is that it dissipates the surprise, the irritation, and the unease about the possibility of applying fractal geometry so widely. The fact that it is not going to lack problems anytime soon is comforting. By way of background, a branch of physics that I was working in for many years has lately become much less active. Many problems have been solved and others are so difficult that nobody knows what to do about them. This means that I do much less physics today than 15 years ago. By contrast, fractal tools have plenty to do. There is a joke that your hammer will always find nails to hit. I find that perfectly acceptable. The hammer I crafted is the first effective tool for all kinds of roughness and nobody will deny that there is at last some roughness everywhere. I did not and don't plan any general theory of roughness, because I prefer to work from the bottom up and not from top to bottom. But the problems are there. Again, I didn't try very hard to create a field. But now, long after the fact, I enjoy this enormous unity and emphasize it in every recent publication. The goal to push the envelope further has brought another amazing development, which could have been described as something recent, but isn't. My book, The Fractal Geometry of Nature, reproduced Hokusai's print of the Great Wave, the famous picture with Mt. Fuji in the background, and also mentioned other unrecognized examples of fractality in art and engineering. Initially, I viewed them as amusing but not essential. But I changed my mind as innumerable readers made me aware of something strange. They made me look around and recognize fractals in the works of artists since time immemorial. I now collect such works. An extraordinary amount of arrogance is present in any claim of having been the first in "inventing" something. It's an arrogance that some enjoy, and others do not. Now I reach beyond arrogance when I proclaim that fractals had been pictured forever but their true role remained unrecognized and waited for me to be uncovered. FORMULA FOR THE 21ST CENTURY [10.13.07] WHAT IS YOUR FORMULA? YOUR EQUATION? YOUR ALGORITHM? HANS ULRICH OBRIST: I wanted to ask you when your interest in science actually started, if one can localise the beginnings.?? BENOIT MANDELBROT: I had the fortune and the misfortune of being the nephew of a very well known mathematician. When I was thirteen, my uncle became professor at the Collège de France, and so I always knew that becoming a scientist was an option. But what kind of scientist? A decision taken in the middle of the war, under conditions that were quite dreadful in many ways, has marked me for life. First of all, in January 1944 (I remember very well how it happened) I realised that my gift for shape and geometry was truly extreme. When the professor read the problem that was a question of algebra or of analysis, I did not hear formulas, but saw pictures.? ?OBRIST: That was in Lyon?? ?MANDELBROT: Yes. Clearly, you have read a great deal about me! Geometry came easily, a good reason for loving it. Second, it provided me with a competitive advantage; in my generation, nobody else had this gift to the same degree. Another advantage: this gift does not fade with age. All my old friends complain that they find it increasingly difficult to sit down and write new formulas. But the ability to look for structure in pictures where everybody else sees a mess does not decline with age as much. That may help explain why, past eighty, I still work effectively almost full-time.? ?I also made another discovery about myself: I deeply wanted to identify some field where I could emulate Kepler — not Newton [laughs], not Copernicus, but Kepler. I put an extremely high value on the precise moment when an idea which is very abstract and removed from any applications — call it a toy — is made over into a tool and used to understand part of the messiness of nature. I constantly search for situations where a toy can become a tool. For example, I like to design my books myself. I find it particularly fulfilling to start with an idea and contribute to every step till it has become a book.
? ?MANDELBROT: In that book we had some freedom of design, but not enough, because the publisher has a very specific format that I didn't choose.??
? ?MANDELBROT: The Fractal Geometry of Nature, which came out in 1982 and is my major work, was entirely designed to my precise specifications, including every picture. The official designer became a good friend and prefers to describe himself as the co-designer because he made the pictures better in quality and size, but followed very precisely what I wanted.?? OBRIST: It is very interesting that in terms of the art world images are important, and very often in science there is an opposite approach, of not trusting images. You told previous interviewers that in Lyon, when you had your first experience of your mathematical skills, images played a very big role. I was wondering if you could tell me about this importance of images, which is a little bit against the grain of what most scientists do.?? Scientists are not separate from their society and technology. When I was a child, books had no pictures because of economics: pictures were expensive; so books were very dry and grey by design. Russian books, almost until the fall of the Soviet Union, remained extremely grey, whereas now the environment in which everybody is raised is extremely colourful, rich in design. The young mathematicians cannot help being more open to the influence of pictures, but nobody claims that pictures are as important to his or her work as to mine.?? OBRIST: In the art world, there have been moments like the Black Mountain College with John Cage and Buckminster Fuller that have been amazing realisations of trans-disciplinarity; such moments usually produce the most interesting expressions of art and architecture. In terms of your education, you had on the one hand the École Polytechnique, a kind of trans-disciplinary school, but you had also this practical experience with IBM, where a lot of disciplines formed a pool of knowledge. In the current world of art and architecture, this fear of pooling knowledge is still very widespread. Could you tell me about these experiences??? 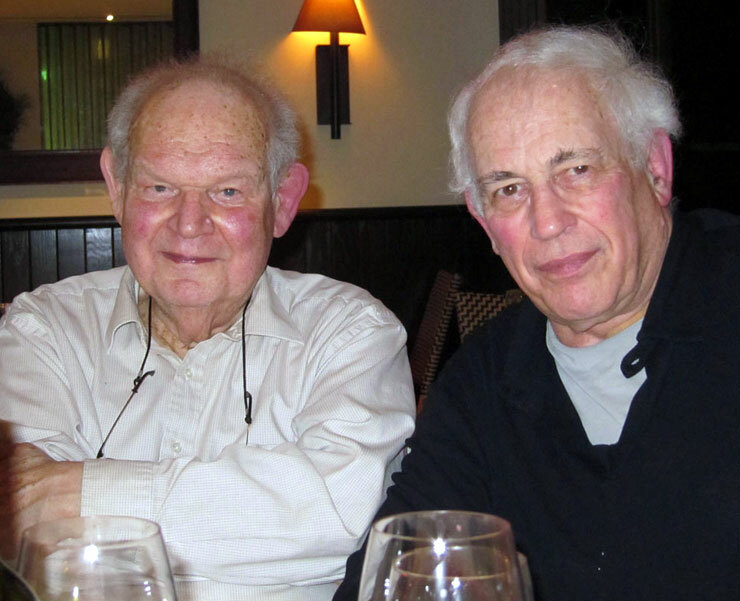 MANDELBROT: IBM was a quite an experience, but more important was my age during World War II, and the effects of moving from Poland to France and then to the US. In many ways, I was very under-educated or mis-educated; for years I was either very much older than my classmates, or I was with the class but not influenced by it. During my early years my mother did not let me go to school, but had me tutored by an uncle, not the famous one, who did not teach me anything in a dogmatic fashion. The various schools I went to didn't put a strong stamp on me.? ?However, the IBM I knew for 35 years no longer exists. It is now a very large corporate development centre concerned with fulfilling Wall Street's and the stockholders' expectations. Earlier, IBM felt responsible for the whole development of the computer, and also had an extremely enlightened policy of enabling creative freedom, contingent on company approval. This policy has been extremely fruitful. It was a very special period; I am very glad to have stumbled there when it was beginning, and to have stayed for 35 years.
? ?OBRIST: Did you have exchanges there with other scientists?? ?MANDELBROT: Exchange is something one chooses to have or not. I have written and co-authored many articles and books with people in my own field, and also in other fields where I have noticed something peculiar with regard to an image, and felt the need to quantify that.
? ?MANDELBROT: I never worked with von Neumann in the sense of asking him for suggestions. I am very pleased to have spent some time with him, though our methods were not compatible. He worked in logic, then in physics, economics, pure mathematics and applied mathematics. Logic and the computer were impressively integrated, but the other fields, in the main, had very little in common, so his other works might have been done by different persons without losing particular substance. To the contrary, all my work involves one theme or a few themes very closely linked together and could be viewed as contributing to a single highly interdisciplinary topic. OBRIST: Albert Hoffman, the inventor of LSD, told me in an interview that chance played a big role in his discovery. How did you discover fractals, and was chance a crucial factor, as in the case of Hoffman??? MANDELBROT: Completely. Early in my life, I was enormously influenced by a very short article in Scientific American that my uncle received from the author, his colleague Joseph Walsh. He himself was not interested and had thrown it into a wastebasket. He took it out, and gave it to me. The article was a review of a book by George Kingsley Zipf, concerning the distribution of word frequencies. I was fascinated. The question arises: what if I hadn't gone to see my uncle that day, or if he had thrown the article in the wastebasket, or if it had not been sent to him?? ?Later in life, an equally important influence was exerted by a diagram I happened to see by chance on a dirty blackboard at Harvard, when I was going to lecture.
? ?OBRIST: Some drawing from a previous lecture??? MANDELBROT: Yes. I saw a very specific shape with alternating convex and concave portions. I looked at the blackboard, then at my host, and asked him to explain. He did so, saying the topic was entirely different from my work. But the diagram proved that in fact it was very close. That chance event provoked me to study financial markets, and resulted in 1963 in a paper titled "The Variation of Certain Speculative Prices". It became extremely famous and very influential, a Citation Classic, especially then and now. The story is told in a book I co-authored with the journalist Richard Hudson, The (Mis)Behavior of Markets: A Fractal View of Risk, Ruin, and Reward, which came out in 2004.? ?These two chance events raise a serious question. The blackboard might have been cleaned before I came in, or made so dirty by overwriting that this drawing would not have been visible. Things of this sort affect a life. An odd thing is that chance has also helped me on many other occasions. Louis Pasteur is credited with the observation that chance can only help the well-prepared mind. I also think that my long string of lucky breaks can be credited to my mode of paying attention: I look at funny things and never hesitate to ask questions. Most people would not have noticed the dirty blackboard, or looked at the article that my uncle gave me because he was not interested.? ?Let me add a comment. That reprint in 1951 and that diagram on the chalkboard both concerned examples of what is now called long-tailed or fat-tailed distributions. These evanescent episodes made me the first well-trained mathematician to take those tails seriously. For this reason, I have heard myself being called "the father of long tails". Long — or fat — tails are an intimate part of the fractal family, so that term and the more common alternative "the father of fractals" do not contradict each other. OBRIST: With regard to those two chance events, you remarked in an earlier interview that the connection between them appeared wild to you on the first night, but by the second night, you had become accustomed to it. Can you tell me about that moment???
? ?OBRIST: Artists and architects have always been interested in this idea of the multi-fractal in relationship to the phenomenon of turbulence. When did this element enter your work???
? ?MANDELBROT: The general observation, that the different sources of rivers account for their different lengths, had already been made by hydrologists. The specific explanation I gave in 1967 concerned the fact that if techniques explicitly designed to study order are applied to disorder, the results will demand careful re-examination. Observe that order and disorder are distinctions at the level of mechanisms, structure, interactions in the system. I like to focus on the basic pattern. OBRIST: You have frequently cited the Japanese artist Hokusai as an example of this sensitivity.??
? ?OBRIST: "Art happens", as stated by the 19th-century American painter James Whistler. That moment of fractal roughness "happened".?? MANDELBROT: Whistler was a great painter. So was the English painter Joseph Turner. His extraordinary wild images of ships burning in the sea perfectly combine Euclidean and fractal shapes. Eugene Delacroix, in his Advice to a Young Painter, which can be found in the artist's published letters, showed that he understood fractality intuitively, but at that time nobody could follow up.? ?I feel very privileged to have filled the role of bringing together phenomena that scientists had missed, and painters or photographers have implemented but never formalised.? ?OBRIST: You told an interviewer that you have almost a collection, a Malraux kind of musée imaginaire of such art works. How is this archive constituted? The museum would also have empty frames for cultures in which fractality was absent or negligible. For example, I think that the term 'Islamic' art is not useful, in fact is misleading, because Arabic art is not fractal, and Persian art very often is. Shiite and Sunni Muslims differ in many ways, including their art. ?Some cultures have a very strong fractal aspect; Persian, Indian and Mughal architecture, often show the contours of smaller domes within larger ones… On the other hand, the Bauhaus was certainly anti-fractal with a passion. Perhaps this is why the Bauhaus has always been so unpopular, because humanity prefers architecture that offers a great deal of variety. OBRIST: That whole architectural movement of Max Taut, Hermann Finsterlin, the German expressionist group, was fractal. Not the Bauhaus.?? MANDELBROT: The Bauhaus reacted against the architectural complexity of late Beaux-Arts style; it worshipped the purity of the cube, and so on. Today, much of that is completely passé. The first time I saw the Church of the Sagrada Familia in Barcelona, it had been reduced to two towers that Antoni Gaudi had himself designed; later I watched the process of its being completed, and was sorry. The two original towers had an extraordinary variety of detail, whereas the total monument as it now emerges is monotonous and decorative. The spirit of Gaudi was very simplistically rendered.??
? ?MANDELBROT: No. I find Gehry repetitive, though photographs of his Museo Guggenheim in Bilbao suggest that it is impressive. The relationships between the smooth masses of various sizes are fractal.
? ?MANDELBROT: I became interested in that aspect through someone I knew rather well, the late Yoshinobu Ashihara, a very successful architect in Tokyo.
? ?OBRIST: Was he part of Metabolism, the 1960s architectural movement that based its work on a theory of dynamic buildings and cities, rejecting the concept of fixed form and function, and instead advocating the creation of the whole by the accumulation of deconstructed, dissipated components??? MANDELBROT: No. He was quite a traditional architect, in fact, an architect of the court. In one of his books, he compared the urban design of the Chinese or American city, both contained by square grids, and of Tokyo, a complicated city that includes chunks of everything; he felt that Tokyo's variety, novelty and unpredictability was generally not appreciated. Ashihara was a brilliant thinker, but his buildings were quite conventional.??
? ?MANDELBROT: Less so, unfortunately. That may reflect the problem visual art experiences at this point. It's not as great a period for artists as for architects. The installations demonstrate ingenuity but are very impermanent.
? ?MANDELBROT: The story that all mathematicians peak at 25 is a popular myth more than a reality. It is also a self-fulfilling prophecy, because of the fact that mathematicians who have not done anything remarkable before the age of 30 are pushed to the side and ignored. On the other hand, musicians continue indefinitely, but so have many mathematicians!
? ?MANDELBROT: This topic seems completely eccentric, like a story from Alice in Wonderland, something like the Cheshire cat who vanishes leaving a smile that then vanishes gradually. But in fact this in a very serious topic I am investigating with a friend. Eventually I hope to compile a small book covering everything I have written on this subject here and there, and the work of other, more recent, authors. It is a concept one should not romanticise, so I have recently decided to write of negative pro-dimension. It promises to become a new domain. Small or big…? The future will tell.?? OBRIST: Do you have any utopian plans that you have not been able to see through???
? ?MANDELBROT: Yes, especially in the domain of speculation and risk-taking. I am well into Volume I of my memoirs, and the remainder is sketched out. I do not know how many volumes I will write, but they will be different from each other. My memory is still very good, so I do everything from memory. When I am not sure, of course, I still verify! Nevertheless, it is very important for me to separate the things that are stored in my archives and in my memory. Later, if my memory starts to fail, I may be forced to privilege the archives.? ?I have led a complicated life, and observe various domains from various angles; hence I do not describe structures from a standard point of view. My perspectives are unconventional and multiple, and I believe I can contribute a little to history. There is also the question of trans-disciplinarity, carried out with true contemporary geniuses. I have mentioned Ligeti; and there is another composer, Charles Wuorinen, with whom I did an extraordinary show titled "Music and Fractals" at the Guggenheim Museum in 1990. It is fascinating to see how two people from such different cultures can collaborate, if they desire to do so.? ?My book The (Mis)behaviour of Markets: A Fractal View of Risk, Ruin and Reward, published in 2004, wasdifficult to write. My collaborator Richard Hudson, managing editor of The Wall Street Journal, was a student of mathematics prior to becoming a journalist; this made the communication of certain ideas easier. He wrote the body of the text; next, I verified everything and we discussed the text a thousand times. This book is reaching out to a wide public. It complements my earlier book Fractals and Scaling in Finance: Discontinuity, Concentration, Risk, which demanded our competence in mathematics; this was published by Springer in 1999. MANDELBROT: Absolutely. The inequality of prices on the art market is astounding: from tens of millions of dollars to only a few dollars. I became deeply interested in the paintings of Frantisek Kupka, the first avant-garde Czech painter, because a certain period of his work was clearly 'fractal'. A major part of Kupka's paintings belonged to a Jewish banker in Prague who had financially supported Kupka, disregarding the fact that the artist was anti-Semitic. Those paintings, first confiscated by the Nazis and then by the Communists, have returned to his heirs. But export restrictions affect the market, and another patron, a mysterious German lady, also owns many of his paintings and can clearly influence their value.?? Every graphic design class teaches fractals, and in commercials it is a commonplace technique, an unnoticed daily application…?? MANDELBROT: Arrabal has written many articles on me, based on his own observations and on interviews that he has read. In addition, many of his recent novels have realistic characters who seem to be inspired by my personality. I do not read all the books that have a character who resembles me. I prefer novels that feature my mathematical work, which usually means the Mandelbrot Set. In 1990, the well-known science fiction author Arthur C. Clarke published a book based on the Mandelbrot Set. Titled The Ghost from the Grand Banks, it is about an expedition to find the wreck of the Titanic. The cover shows a Mandelbrot Set with the Titanic sinking in the centre. Very nice.??
? ?MANDELBROT: I am passionate about opera. There was a time when I went every second day to the opera house and spent many hours a day listening to opera records. I find that it is one of the more powerful modes of expression. I am a great admirer of Mozart and Verdi; I like Rossini, but not Wagner that much. In the 19th century, opera was understood as a very popular way of writing. Ask people today if the 20th century has been good to opera, and they will probably say no. Today, opera is widely considered an 'outdated', 'obsolete' form of art that requires justification and explanation. This is completely false! Several of the most extraordinary operas in the history of music were written in the 20th century. Wozzeck, almost horribly simple, is a stunning instance that grew from an odd specialty almost to the centre of the repertoire. So is Francis Poulenc's remarkably melodramatic and powerfulLes Dialogues des Carmélites (Dialogues ofthe Carmelites).
? ?OBRIST: Would you consider Wozzek, the famous 1925 atonal opera by the expressionist composer Alban Berg, and works by Verdi, to be 'fractal' operas?
? ?MANDELBROT: There is surely a fractal element, as opera has to reveal various levels for it to be effective; and there are so many elements one can connect. What I find truly interesting in opera is… the opera itself! I love the human voice.
? ?MANDELBROT: This has become very difficult… In Rilke's time, poetry was a fully defined form of art. The problem with science at the moment is the rapidity of that change. By good fortune I managed to work in science 'solo', with a restricted number of collaborators. I have never worked on an article with more than two or a few authors. This makes me a rare exception. Most science is very different today. Hundreds of people join in writing an article, and their work leans on a laboratory employing a thousand people… When young people come and ask for advice, I have to say that both my personal and informal way of practicing science was already difficult in my time, but now it has become inconceivable. Hadamard was a wise and balanced man. Hardy was, an ideologue with ideas about 'pure mathematics' that I consider ridiculous; yet these ideas keep being revived, then collapse, and so on. The canonical example Hardy gave of 'pure mathematics', with no applications outside of the self-interest of studying the topic, was number theory in general, and the study of prime numbers in particular. Number theorists such as Hardy took pride in doing work that had absolutely no military significance. However, this vision was shattered when in the 1970s prime numbers became the basis for the creation of public key cryptography algorithms. This is a use that Hardy, a pacifist, would have hated. ? ?In relation to the reality of mathematics, I am a forceful moderate, not an ideologue. "WHAT DO YOU BELIEVE IF TRUE EVEN THOUGH YOU CANNOT PROVE IT? Great minds can sometimes guess the truth before they have either the evidence or arguments for it (Diderot called it having the "esprit de divination"). What do you believe is true even though you cannot prove it? Wandering through the frontiers of the sciences, and the arts, I have always trusted the eye while leaving aside the issues that elude it. It can mislead—of course—therefore I check endlessly and never rush to print. Meanwhile, for over fifty years, I have watched as some disciplines exhaust the "top down" problems they know how to tackle. So they wander around seeking totally new patterns in a dark and deep mess, where an unlit lamp is of little help. But the eye can continually be trained and, long ago, I have vowed to follow it, therefore work "from the bottom up." Like the Antaeus of Greek myth, I gather strength and persist by often touching the earth. A few of the truths the eye told me have been disproven. Let it be. Others have been confirmed by enormous and fruitful effort, and then blossomed, one being the four thirds conjecture in Brownian motion. Many others remain, one being the MLC conjecture about the Mandelbrot set, in which I believe for no other reason than trust in the eye. We lost an intellectual giant. 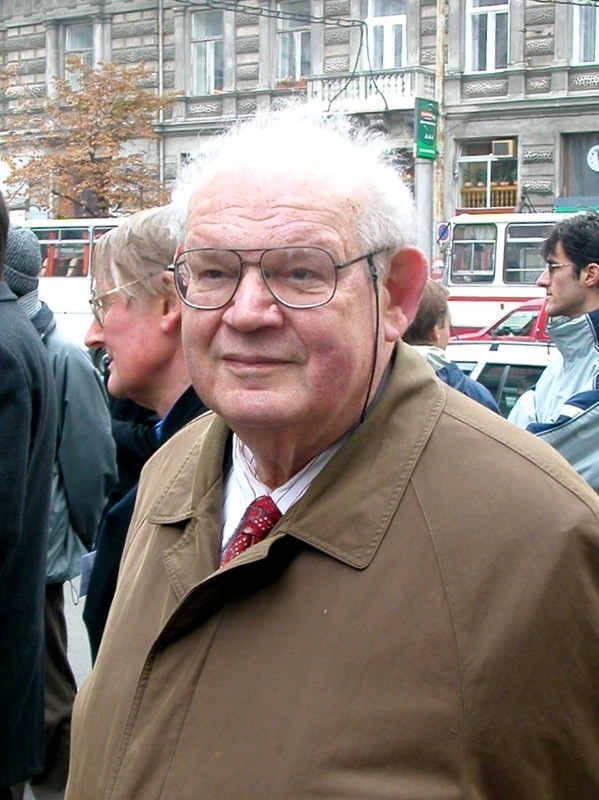 Benoit Mandelbrot was one of humankind's preeminent mathematicians, yet he was much more than that. Mandelbrot bridged art and science with an ease that seemed unreal, and with a depth matched only by few in history, like da Vinci and Helmholtz. What the physicist Helmholtz did 2 centuries ago for the realm of sound, by combining physics, physiology and musical esthetics and "trusting the ear", Mandelbrot did for the visual realm by "trusting the eye". Trusting the senses was for both of them the beginning, not the end of the discovery process. Both of them were giants of science and took painstaking care in proving their conjectures, which often took years. In the meantime, they were very open about the source of their intuition, which sometimes brought in skeptics — from science or from art. Ultimately, what they did was a true amalgam of art and science, creative in a deepest sense, and permanently changed the way we all perceive the world around us. At the very start of Benoit Mandelbrot's path of discovery was a simple question: "How long is the coast of Britain?" — what happens as you keep zooming in? — and he found that a coastline is essentially infinite, always revealing new features. My conversations with Benoit reminded me of a coastline, a beautiful coastline. I took the above photograph of Benoit Mandelbrot at the unveiling of a centenary plaque at the entrance to John von Neumann's childhood home in Budapest, 16 October 2003. Later, he asked did I know the story of how von Neumann had helped him from beyond the grave?